The Master in Molecular and Cellular Life Sciences (MCLS) is research oriented and takes a multidisciplinary approach to study related to health and disease in cells and organisms. By the end of the programme you will gain sufficient fundamental knowledge to start working on applications in the field of medical and biotechnological issues. These applications may include the development of new medicines and vaccines, new strategies for crop improvement, or the development of enzymes to be used in industry. 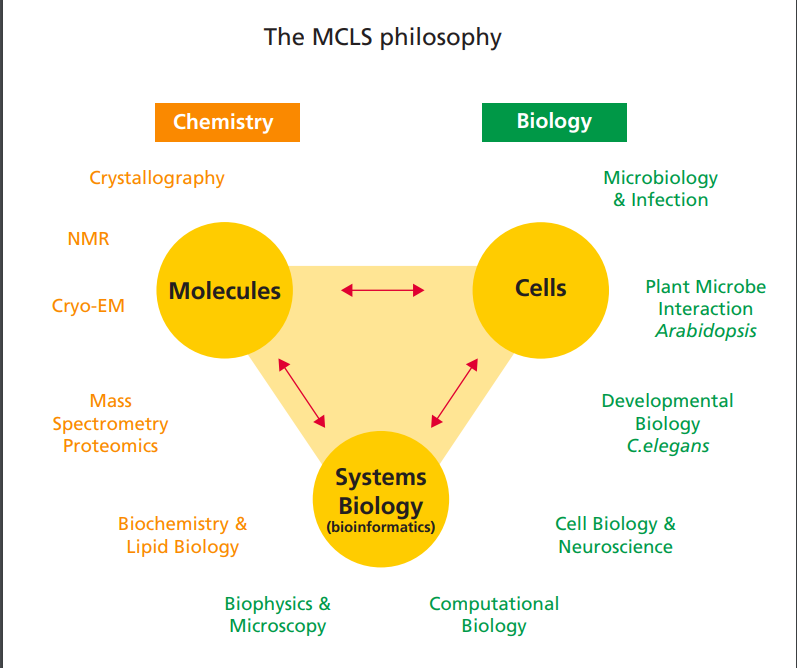 MCLS is the ideal Master’s programme if you are interested in molecules as the basis of life and disease and if you want to know how chemistry, biology, biomedical sciences, and physics contribute to our understanding of how these molecules work. The interplay of molecules in cells and organisms is the central focus of the programme. You will develop extensive knowledge about cellular processes such as cellular signaling, membrane biogenesis and intracellular transport. You will also learn skills and methods to study the molecules involved in these processes by using biochemistry, structural biology, cell biology, biophysics, computational biology, proteomics and genomics. The programme offers you the flexibility to choose any specialisation within the field of molecular and cellular life sciences.